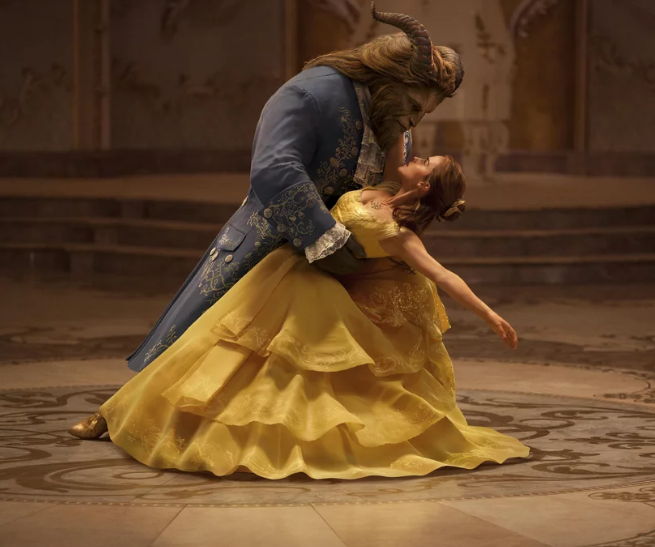 Given that the 2017 Live Action Disney Remake was just nominated for an Academy Award for Best Costumes, I thought it would be a good time to discuss at least the Belle’s iconic yellow ball gown. Coming off Cinderella’s ball gown from the 2015 Cinderella designed by Sandy Powell, my first impression of Jacqueline Durran’s take on Belle’s gown was lackluster. Personally I find Durran’s work to be hit or miss, she did costumes for that Anna Karenina movie with Keira Knightley but that green gown from Atonement was amazing. She is a very capable costume designer who does deserves her accolades but this yellow gown miss the mark in a few fronts. Let’s get some positives out of the way since there are a few. After reading a few interviews with Durran, I can say that the color of the gown was well thought out. Yellow is a very tricky color for people to pull off, it can also look terrible on film and can very easily look cheap. The color did work well with Emma Watson and looked nice on film. Personally I just wish it has some other level of contrast to make it look less sweet and a little more grown up but that is a personal nitpick. Another positive is the movement of the fabric. The gown just moves so well in the scene. I read somewhere that the gown was made from sustainable fabrics which is great on its own but the movement of the gown is stunning and it my favorite part. And now the some negatives. One BIG issue is that while this is a magical gown in that within the narrative it was created with magic it’s still rooted in the movie’s setting and own sense of style. Durran did mention that while the gown was created for Watson’s modern Belle, she still kept into within the French 18th century style. The problem is that in that first scene everyone is in costume that look like French Rocco style. The wardrobe herself knows this style and then operation against it for Belle’s gown. I suppose the trouble is the merging of the 1991 iconic design with the semi-real style that the 2017 movie was trying to achive. 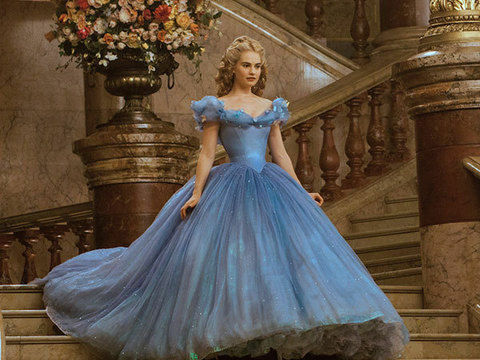 In the 2015 Cinderella, it didn’t operation in real world setting, it had a pseudo 1950’s design to the costume so everything looked integrated into a cohesive look. 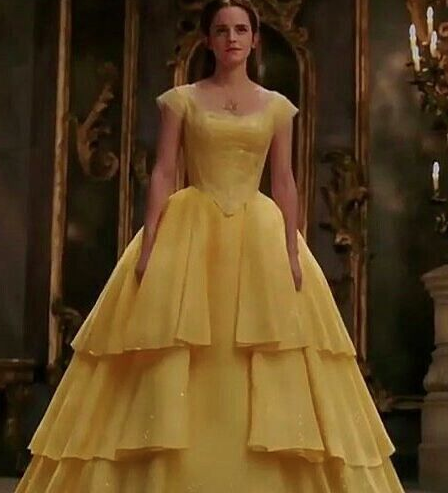 Belle’s ball gown is not integrated into movie’s larger style as it’s only looked to have a modern sensibility. However you know what COULD have pulled the modernity and the Rocco style together? Belle’s jewelry. 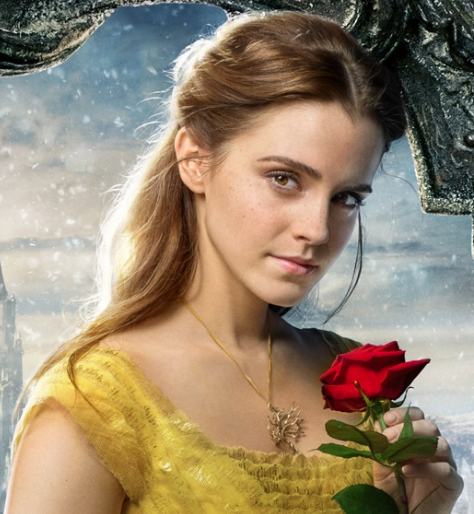 Durran had freehand to whatever since Belle only has basic stud earrings and a hair piece in the 1991 version. The jewelry that Belle wears is way too modern. The hair piece was fine with it’s feather motif but the other elements while lovely on their own did not work in the film. She has ear cuffs and this organic branch-like shape pendent necklace. When I first saw the jewelry in the film it took me out of the movie. According to interviews the thought behind the ear- cuff and the necklace was keep it organic. The cuff was like a plant that was still growing and the necklace was a “tree of life that is still in motion” * It was all meant to echo the design of magical castle. I’m not without knowledge of the creative process, most of the time you get into head space with an idea or concept and you just run with it. In this case it sounds like they had their idea to base the jewelry on the castle and didn’t relate the design back to the rococo setting even though the castle has that aesthetic. Typically Rococo is very organic and botany was a favorite source of inspiration during this period. 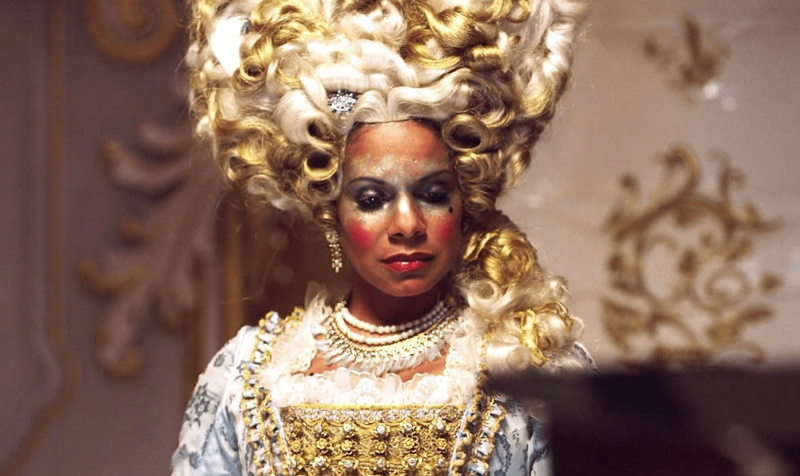 The point is the jewelry didn’t have to look so late 2000s in design and execution, they could have looked to period the film was set in into giving the costume more 18th century influence while still giving it a sense of otherworldly magical modernity. 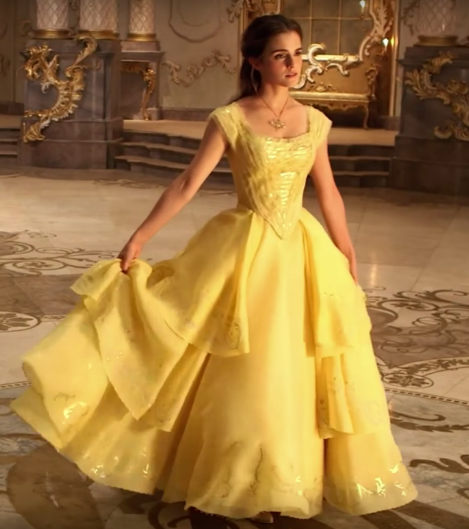 Unfortunately Belle’s yellow gown missed the mark for the style of the movie and the impact it made on screen. It’s just one of the many misses that this movie had in totality. Actually, Cinderella’s gown from the live action if yellow, would look just like Belle’s cartoon dress. I felt Emma dress was way very simple for the settings.